Warner Communications has been designing, installing and maintaining onsite two way radio communication systems for more than 50 years. We have extensive experience with commercial grade systems, including DMR and NXDN. Our onsite two way radio communication systems are ideal for large single site facilities that require instant, reliable and secure communications among team members. Contact us today to learn more. 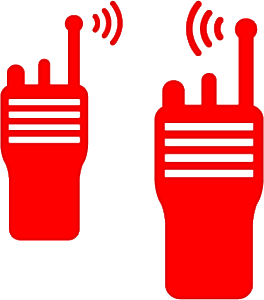 What Type of Organizations Benefit from Onsite Two Way Radio Communication Systems? Let us earn your trust and your business. Schedule a consultation with one of our industry experts today to discover how our onsite two way radio communication systems can bring value to your organization.